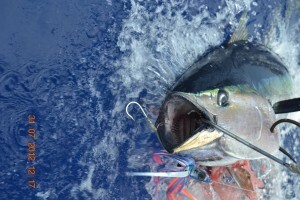 Receive a $25.00 discount when you mention this web page when booking a trip. 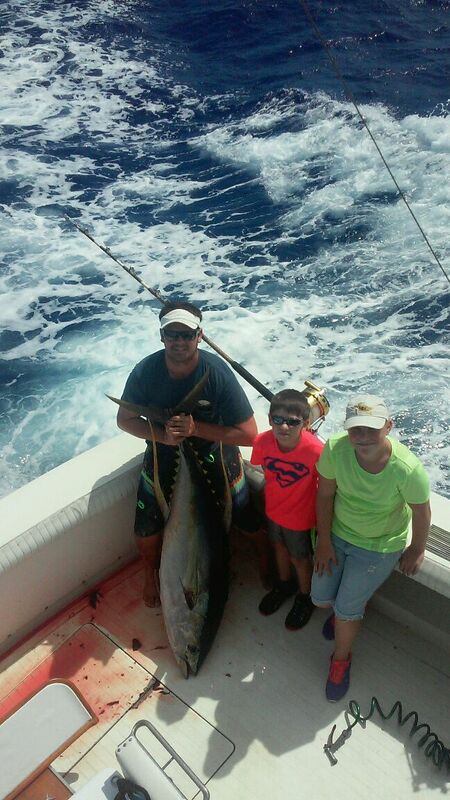 Another Ahi tuna on todays charter aboard the Lady Dee. Hooked Up caught a 137 pound Ahi and Ez Pickens weighed 168. Below is the Ahi on Hooked Up with Zac(crew) and the charter. We went 1-2 today on a half day fishing charter. 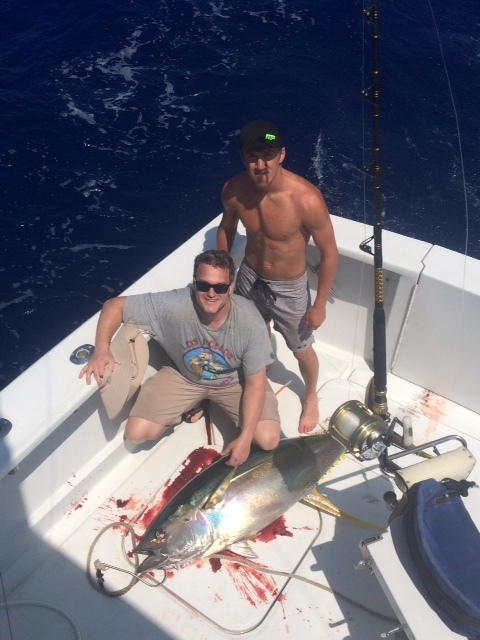 Caught a spearfish and missed a marlin. 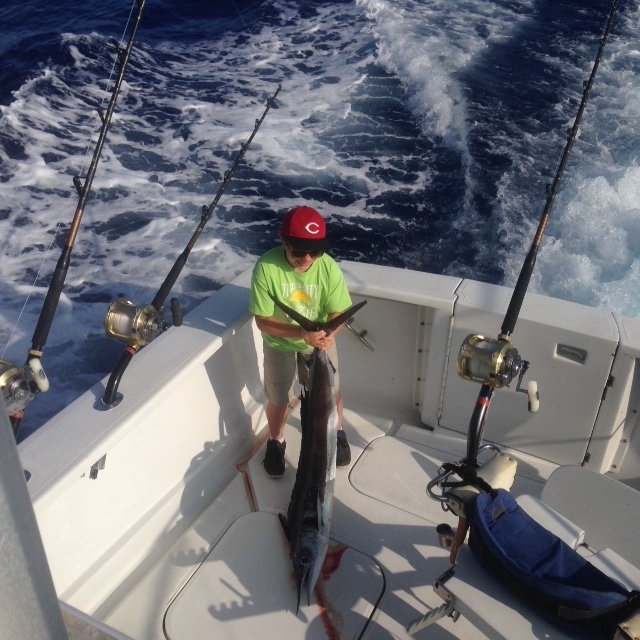 The younger brother had to hold up the spearfish for his sister because she got sea sick after landing her first fish ever. Go Get Em catches biggest Mahi of the year. Captain Jim Wigzell on the Go Get Em catches 24 Mahi Mahi with the biggest weighing 53 pounds. 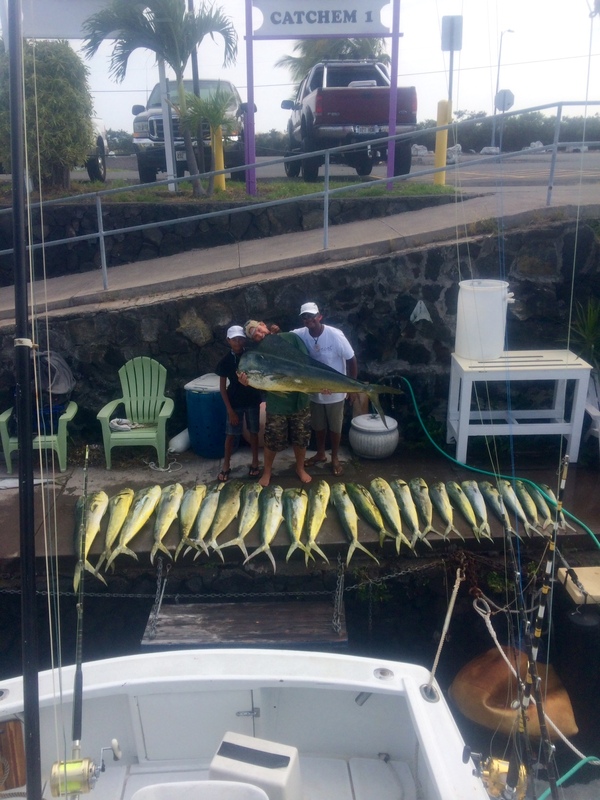 Which makes the big fish list at Honokohau Harbor. 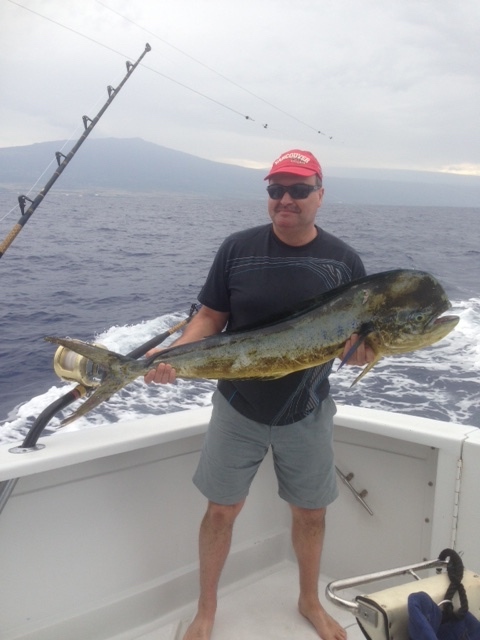 Its the biggest one caught in Kona so far this year. 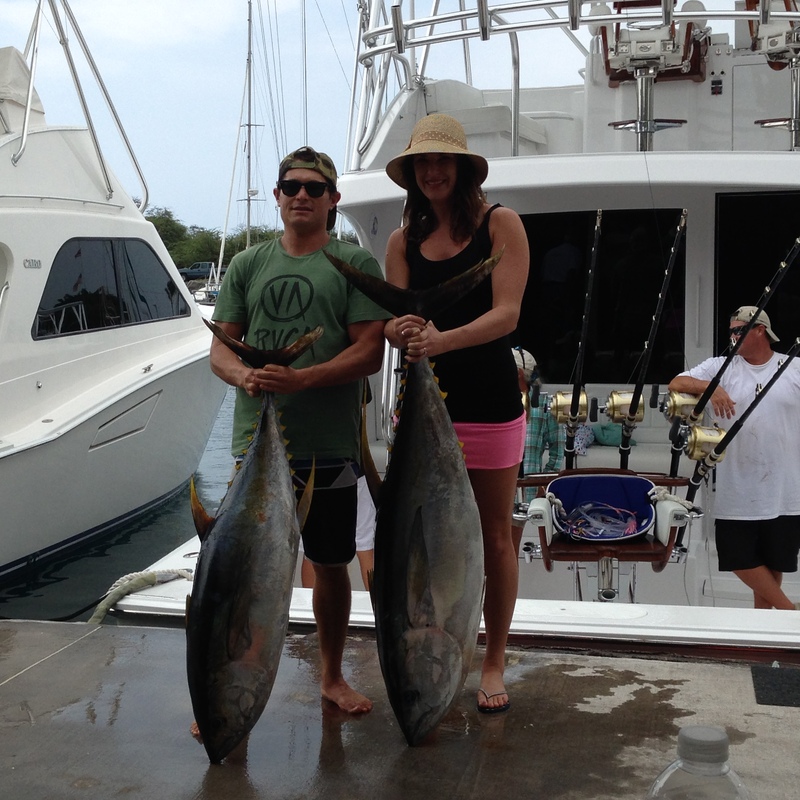 Couple today on the Ez Pickens with Captain Jim Wigzell caught two Ahi Tunas trolling lures in the porpoise school while fishing in Kona Hawaii. 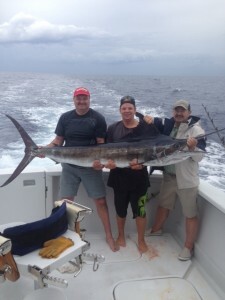 Couple of good friends chartered us for a half day off the cruise ship and came back with a 96 pound stripe marlin and a mah i mahi. Since they were on the ship and could not take fish with them, we called up the wives and had them meet the boys at Pancho and Lefty’s for a quick lunch before they had to get back on the ship.